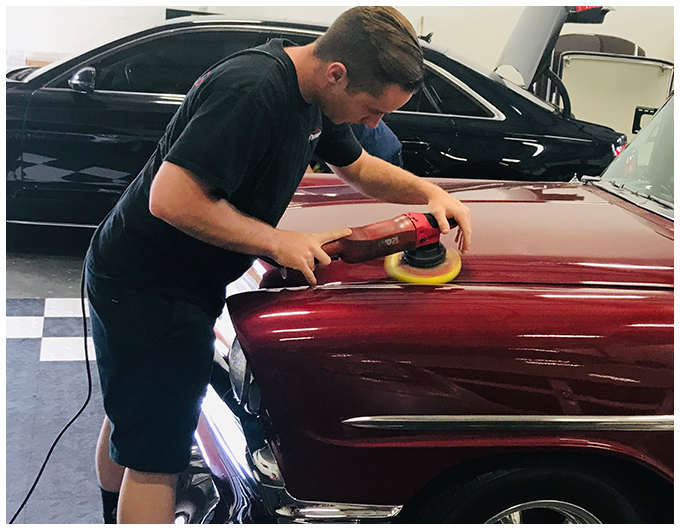 The USA Shine Shop team is committed to providing the highest quality detail services available to fit the needs and busy schedule of our valued customers. Our dedicated and professionally trained staff of detail experts will custom fit the right product and service to meet your unique needs. Your vehicle will be in the hands of true detail professionals, who will care for it as if it were one of their own. Thorough hand wash of the complete exterior of your vehicle. Wheel and Tire cleaning and dressing. Streak Free cleaning of all windows and mirrors. Exterior trim cleaning and dressing. Complete Vacuuming of your vehicle. Wipe down and basic cleaning of plastic, rubber, and vinyl interior trim. Cleaning and conditioning of leather seats. Clay bar to remove tar, sap, bugs, and other contaminants. Multi-Step polishing to remove small to medium scratches, swirls, haze, and imperfections. Sealing the Polished Paint with a protective hydrophobic wax sealer. Application of Ceramic Coating for long lasting protection of your vehicle. ** Trucks, SUVs, and/or excessive wear may include additional charges.